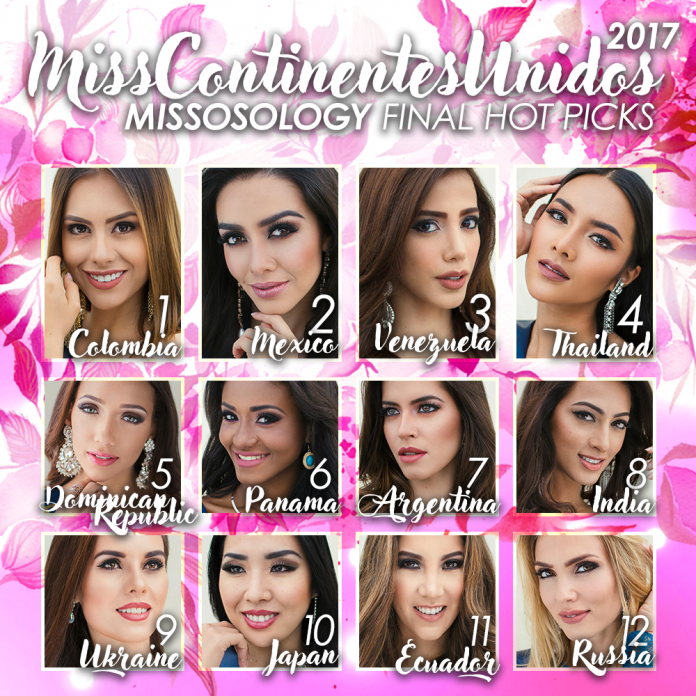 It seems like the Miss United Continents or Miss Continentes Unidos crown will go back to South America! Colombia’s Yennifer Hernández leads the pack as the one to beat at this year’s competition, followed by Mexico’s Roxana Reyes. Both are the most popular delegates in our official forum. Venezuela’s Daniela Velasco may be a silent spoiler, and might also get away with the crown. Her vivacious personality is a huge hit among fans. Meanwhile, Thailand won the national costume contest, which made her the most favored non-Latina delegate this year. She is one of the shortest delegates this year, but is extremely photogenic. Dominican Republic and Panama complete the Top 6. Both are great contenders for the crown as well. Argentina has one of the most beautiful faces this year, and is favored for the Miss Photogenic award. India failed to grab the national costume award this year, which is the first time since 2014, but the beautiful Sana is an intelligent person with a charm of her own. Ukraine is Europe’s best hope, while Japan seems to have shown a lot of promise as the final night approaches. Ecuador and Russia are our alternates for the Top 10, although we wish to see a Top 12 this year, knowing how high the level of competition is.